One question I often get asked is whether we should avoid leafy green vegetables, and other natural foods, which are high in oxalic acid. Problems with oxalates in the body are two-fold: first, the restriction of mineral availability, hence depriving the body of essential minerals and second, the potential to form kidney stones in susceptible individuals. In this article I’m going to elucidate what oxalic acid is, what foods contain oxalic acid, whether we should eat foods high in oxalates if health issues occur from consuming greens high in oxalic acid, and what quantities are optimum for health. Oxalic acid is a colorless, organic compound that occurs naturally in plants, animals and in humans. It is made by the human body from other substances such as vitamin C. It can also be ingested from food and readily combines with calcium, which is why some people have concerns. Likewise, our bodies convert many of the things we consume into oxalates. Organic oxalic acid is an important – even essential – element to stimulate and maintain the peristaltic motion in our bodies, so it is not all bad. What foods contain oxalic acid? Oxalic acid is found in greens of the Amaranthaceae family such as spinach, Swiss chard, beet tops, lambs quarters and amaranth plus sorrel, parsley, purslane and rhubarb. It imparts a sharp taste to beet greens and chard that is felt in the throat. Oxalic acid generally increases as foods mature, producing increasingly bitter vegetables. Young, fresh vegetables such as baby spinach are less likely to have oxalic acid. Other foods high in oxalates are almonds, cashews, buckwheat, unhulled sesame seeds, tea, coffee, chocolate, textured soy protein, beets. Low oxalate greens are lettuce, celery, chickweed, watercress, escarole, asparagus, dandelion, and the members or the brassica family or cruciferous such as kale, bokchoy, collards, mustard greens, turnip tops, cabbage and arugula. Oxalic acid present in greens and other foods has the potential to bind with calcium, magnesium, iron, zinc and copper in our intestines to form oxalates, insoluble salts, thus interfering with the absorption of these minerals and making them unavailable for the body to use. It doesn’t, however, affect the absorption of calcium in other foods consumed at the same meal. Studies have shown less absorbability of calcium from spinach. The absorption of calcium in spinach is only 5% compared to 30% absorption in kale, a low oxalate greens. The bio availability of calcium from kale is actually better than milk at 27%. In another study, about 27 percent of the magnesium from spinach was absorbed compared to 37 percent of the magnesium in kale. However the oxalic acid on iron absorption varies from person to person and meal to meal, and the body absorbs more iron from oxalic acid-rich foods when you are iron-deficient compared to when your iron stores are plentiful. So you get iron from eating spinach if you need iron. How does cooking affect oxalic acid? The oxalic acid is lowered by boiling and steaming but so are the minerals and vitamins and phytochemicals which leach in the water. If you discard that water you reduce the oxalates remaining in the food but at the same time you also lose the vitamins, minerals and other phytochemicals. So you are better off consuming your greens raw if you want to benefit from the whole spectrum of nutrients. Oxalic acid forms insoluble salts such as calcium oxalates which are found in kidney stones. When oxalates become too concentrated in body fluids, they can crystallize and may cause health problems such as kidney stones. There is also a large degree of genetic variability in the ability to detoxify the chemicals that produce oxalates. Perhaps twenty percent of the population has a genetic variance that increases their likelihood of producing oxalates, even when not consuming a high-oxalate diet. For this reason, certain individuals need to be careful about their intake of oxalic acid – those who have existing and untreated kidney or gallbladder problems, a vulnerability to kidney disorders, gout, rheumatoid arthritis, or certain forms of chronic vulvar pain. People with hyperoxaluria (a genetic predisposition to this disorder occurs in less than 1 percent of the population) should highly minimize their intake of oxalates. For others, the extent to which foods high in oxalic acid are a potential health problem varies from person to person. For normal, healthy persons, that risk is almost negligible provided that great amounts of oxalic acid are not consumed on a continuing, long-term basis. For those who have a healthy digestive tract, good bacterial flora, who chew their foods well in a relaxed state, and minimize animal protein, will have the potential to lower oxalate absorption/urinary excretion from foods containing oxalic acid. Although calcium oxalates play a part, it is the consumption of animal protein that is the main culprit in the formation of kidney stones. The acidification of the urine and increased animal protein are linked with the most common stone — uric acid stones. A plant-based lower protein diet will prevent the formation of kidney stones. Being well hydrated and a daily dose of omega-3 fatty acids are also very effective in preventing oxalate deposition. It all depends on whether you have trouble excreting oxalic acid or not. Generally I recommend that high oxalic food be a smaller portion of your leafy green intake. Stone formers should look at minimizing those portions. However we don’t have to avoid high oxalate foods completely. Spinach, beet leaves, lambsquarters and purslane have much to offer nutritionally: they’re an excellent source of folic acid, phytonutrients carotenoids and lutein, antioxidants, other minerals as well as vitamin K, E and C.
Don’t base your smoothies on spinach or Swiss chard. 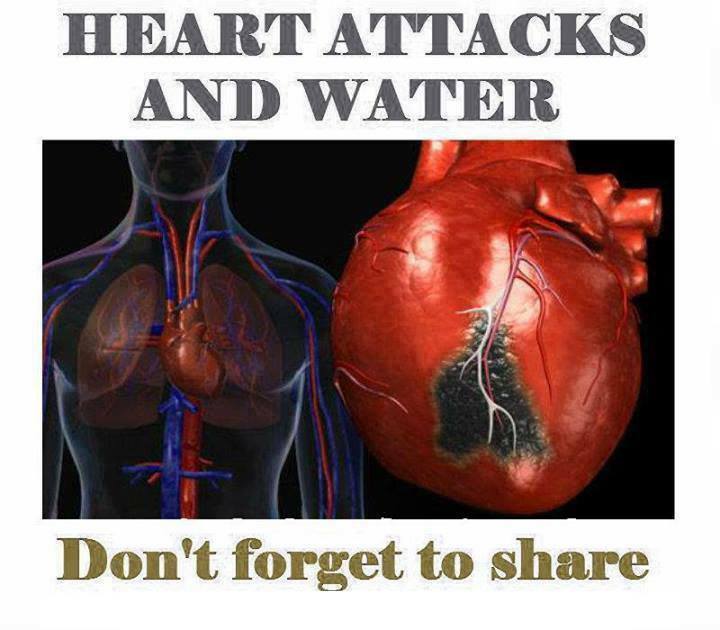 It is large amounts of consumption over several months that you should be aware of. I know people who put spinach in their smoothies all day and all year long without varying their greens. They are depriving themselves of calcium and other minerals more readily available in other low oxalate greens. Rotate your high oxalate greens with low oxalate greens. The best spinach substitute in smoothies is baby bokchoy. It is mild in flavor, has soft fiber and a high calcium level. Mix high oxalic greens with a variety of low oxalic greens. For example instead of using 2-3 cups of spinach in a smoothie, cut it down to half and make up the other half with other greens low in oxalic acid. This way you won’t ingest too much oxalate and will benefit from both worlds. You can put spinach in your salad and soups but make sure the spinach is less than half of your total consumption of greens. In general you should not eat more than 8 ounces of spinach a day, juiced or raw. If cooked, 10 ounces is not too much, but eating it every day can’t be as good as consuming a mix of other greens throughout the week. And if you do experience a ‘burning’ sensation in your throat, however mild, you should stop eating those greens immediately, rather than ignoring it. Once I made a green smoothie containing Swiss chard stems and leaves. The smoothie tasted so strong that I couldn’t even have a sip without feeling an intense burn in my throat. I had to throw away the smoothie. On another occasion I made the same smoothie with Swiss chard and it tasted great. Not all chards are the same. Likewise with raw beets. Some beets burn my throat while other beets don’t. Don’t ignore those messages from your body. A food that burns your throat is not beneficial. Continue to eat your greens in green smoothies, soups and salads and you’ll benefit from a plethora of nutrients which will help your body functioning at its peak. Rotate your greens and keep at the back of your mind which foods have high oxalic acid and minimize their consumption. 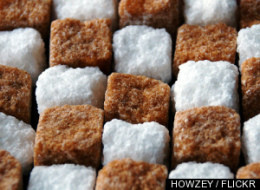 …the truth about giving up SUGAR. Having been sugar-free for 10 days now, I consider myself somewhat of an expert. At the very least I am an expert at getting through the first 10 days. So for that, here are 10 things I’ve learned about the first 10 days. 1. Don’t quit eating sugar without pain reliever in the house. The pain in your brain will be too great to leave the house for pain reliever. 2. Your mind will tell you all kinds of crazy things including: Why are you such an extremist control freak? Sugar is a part of life! It’s Friday for God’s sake and I don’t care if you don’t believe in God. What’s a little agave gonna hurt anyone… Live a little! Mayonnaise (that’s Best Foods, or Hellman’s, whose key ingredient is corn syrup) will beckon. Mark Hyman, MD is a practicing physician, founder of The UltraWellness Center, a six-time New York Times bestselling author, and an international leader in the field of Functional Medicine. You can follow him on Twitter, connect with him onLinkedIn, watch his videos on YouTube, become a fan on Facebook, and subscribe to his newsletter. The American Beverage Association, whose members include Coca-Cola (KO.N) and Kraft Foods KFT.N have strongly, and successfully, opposed efforts to tax soda. The evolution of our modern-day lifestyle continues to bring more challenges to our health and well-being. Most of our diets include so many refined, processed foods and sugar, not to mention having to deal with the chemical pollutants in the air we breathe and the food we eat. I believe these factors and excessive stress are the main reasons that the occurrence of disease continues to escalate. Disease is our body’s way of telling us that something is out of balance. It is a cry for help. I believe that our bodies are capable of healing themselves when given the right tools, care and attention. The problem in our society is that we tend to address the symptoms of the imbalances, instead of treating the causes. An example would be the overworked, stressed-out manager, plagued with afternoon fatigue (maybe due to depleted adrenal glands, hypoglycemia or candida), who rushes off for the “sugar fix” of a candy bar or coffee to keep going. This is like putting a band-aid on a volcano. It may create a short-term remedy, but in the long run it makes matters worse. What started off as a small annoyance tends to escalate over time, requiring more drastic band-aids to quiet the uncomfortable symptoms. Eventually a small, annoying symptom can grow to become a chronic problem or disease. The pH level is one of the most important balance systems of the body. The pH level is a measure of acidity or alkalinity, on a scale of zero to fourteen, with zero being most acid, fourteen being most alkaline and seven being mid-range. You may have seen shampoos advertised as pH balanced. These are shampoos designed to match the pH level of the hair. The pH levels of our bodies vary from one organ or system to the next. For example, the stomach pH is much more acid than the intestinal pH because the stomach needs an acid environment (hydrochloric acid) to break down food for digestion. Whereas, the flora (good bacteria) of the intestine need a more alkaline environment to assimilate and process the nutrients from the foods digested by the stomach. In my book, “The Cleanse Cookbook,” I write about the importance of maintaining a balanced pH level. In order to do this, we need to eat at least 75% alkaline-forming foods. The average all-American diet consists of about 80% acid-forming foods! Because processed and refined foods are extremely acidic to our systems, the body creates a buffering system (a chemical process to protect the body from being harmed by the acids). This buffering process requires the use of many nutrients from the body, including electrolyte minerals (organic potassium, magnesium, sodium, calcium, to name a few). Electrolyte minerals are not minerals from the ground. They minerals from plant sources that have gone through the process of photosynthesis. We can begin to reverse this depletion process by replenishing the electrolyte minerals in our bodies. By eating more pH-alkaline forming foods (fresh fruits, fresh vegetables, fresh juices, sprouted seeds, alkaline grains), we can begin to replenish our reserve supply of electrolyte minerals. In my book, “The Cleanse Cookbook,” I explain this process in detail. Also in “The Cleanse Cookbook,” I introduce an amazing tool to measure our pH levels; it’s called pH papers. pH papers are yellow-colored papers that come on a roll or in strips that you may have seen in your high school or college chemistry classes. You can use them to measure the saliva and urine pH levels of your body. Three of these tests are explained in my book. They measure not only your pH levels, but can determine if you are deficient in electrolyte minerals. The pH papers are a powerful tool for monitoring our pH balance system. pH testing also provides us with a way to take a more proactive role in our health. We can detect and correct the pH imbalances and electrolyte deficiencies in our systems before they manifest as symptoms of disease. As a cleanse coach, I have seen dramatic health improvements in so many people who simply get their pH levels balanced and their electrolytes replenished. The pH tests are easy and quick. All you need are pH papers and the instructions for interpreting your results. Both the pH papers and “The Cleanse Cookbook” are available by contacting me by email at seechristine@earthlink.net or calling (858) 673-0224. If you are interested in more information about the internal pH system or internal body cleansing, I recommend reading not only “The Cleanse Cookbook,” but also “Cleanse & Purify Thyself,1.5” written by Dr. Rich Anderson, also available through me. Both books are great resources for understanding the pH balance of our bodies and the importance of internal body cleansing. Christine Dreher is the author of the nationwide health-store best-seller “The Cleanse Cookbook.” She is the owner of Christine’s Cleanse Corner (a company created to help people cleanse and rebuild their bodies), an internal body cleansing coach, nutritional counselor, lecturer, teacher, and body fitness instructor. She has spent many years researching the causes and prevention of disease. Inspired by her own healing transformation, during her first 40-day cleanse process many years ago, she continues to help thousands of people transform their lives through her cleanse programs, books and articles, and lectures and coaching. Visit her website, email or write her at: Christine’s Cleanse Corner, Christine Dreher, P.O.Box 421423, San Diego, CA 92142.